The scent of cinnamon and nutmeg waft through the air. Colorful lights of blue, red and green fill your home with festive spirit. Grandchildren sing, dance and play as you continue catching up with your sister, brother, cousins, and children. It’s a lively affair. You look forward to it each year. Enjoying time with family and friends. Listening to holiday music in the background and spreading cheer. You try to spend as many meaningful moments as possible with family and friends throughout the year, but the holidays are different. You don’t want to miss a moment of Thanksgiving dinner, or any of the holidays. Yet the drone of background noise sometimes drowns out the voices of those speaking to you. You have to ask them to repeat themselves. As the conversation continues, your youngest niece and her husband make an important announcement. Everyone at the table smiles widely and congratulates them. The volume in the room rises as family begins to cheer. Your skin feels warm as a puzzled look spreads across your face. You didn’t catch what your niece said. What just happened? You want to ask someone. Whatever it was, it’s important. But you’re feeling embarrassed that you didn’t hear it the first time. You know asking people to repeat it never has the same feeling. And you don’t want to interrupt the cheering. You later find out, after everyone else, that your niece saw the doctor this week. They’re having a baby. 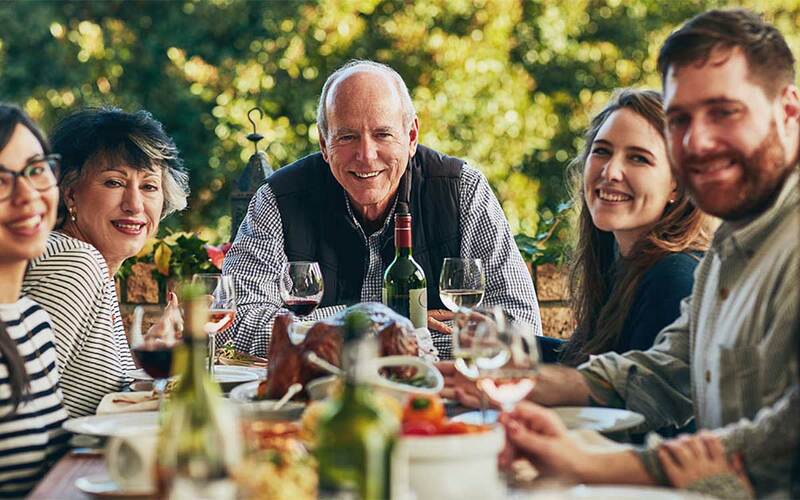 If you’re struggling with untreated hearing loss, who knows what you’ll miss this holiday season. You’re already planning that big meal and buying presents in anticipation. You’ve never been one to wait until the last minute to get all of your shopping done. You may be booking air travel for family members who’ve moved to another state. You’re preparing your home and straightening up the guest room. All of this is important. But it’s not as important as ensuring that you get to enjoy this holiday with family and friends without missing out on the conversation. Don’t wait until the last minute to get a hearing test. Even if you have mild hearing loss, a hearing specialist can offer you appropriate solutions now. These can help you hear more clearly around the holidays, at restaurants or at the grocery. When there’s lots of background noise, it’s easier to understand those around you. Talking on the phone often becomes crystal clear. It’s always better to start early. Some hearing solutions take a little time to get used to. Getting treated now means you’re ready when family starts showing up at your door. Don’t miss a moment of your grandchildren’s laughter. Don’t feel out of the loop during an important announcement. Don’t get shut out this holiday season. Don’t wait until November to make an appointment. Schedule a hearing test today.